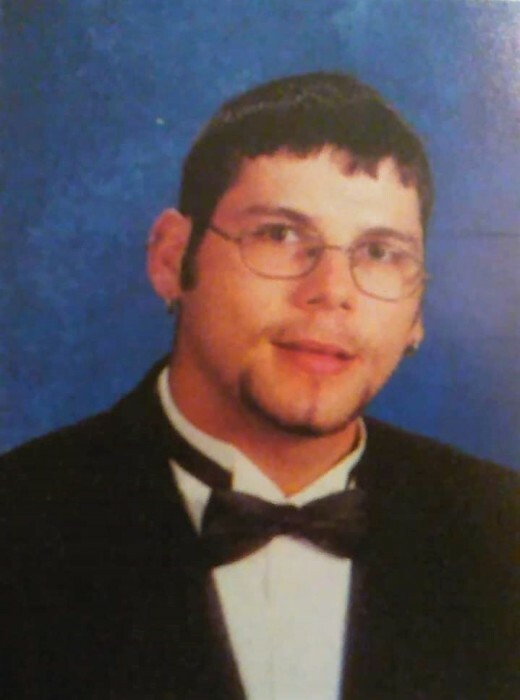 David Earl Fryman, 33, passed away on Monday, January 21, 2019. Born August 22, 1985 in Harrison County, he was a graduate of Harrison Co. High School, a construction worker and an avid baseball & softball player. Survivors include his father, Robert D. Fryman; his son, Preston; 7 brothers: Josh, Eric, Derrick, Shawn, Andrew, James & Robert, Jr.; a sister, Alisha; and a special uncle, Troy. Also preceding him in death were his mother, Terry Lynn Kelly Fryman, and a sister, Misty Blue. Services will be 2:00 P.M. Tuesday, January 29 at Drake-Whaley-McCarty Funeral Home officiated by Jeff Kinney with cremation to follow. Visitation will be from 12:00 Noon until the time of services. In lieu of flowers, the family would greatly appreciate donations to Drake-Whaley-McCarty Funeral Home toward expenses.